If you answered "yes" to any of these questions, you might be a candidate for replacement windows. Complete Home Solutions are the local experts for window replacement in D.C. & MD. Contact us to schedule an inspection and get a free quote. We serve Glen Burnie, Pasadena, Annapolis and many surrounding areas. Low maintenance. 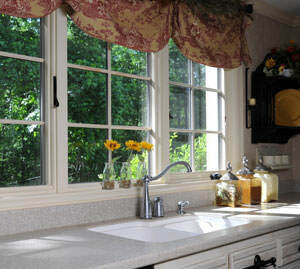 While old-fashioned wood windows required regular painting and even re-glazing, today's top-quality replacement windows are made from materials (vinyl and aluminum) that are super-durable and maintenance-free. Complete Home Solutions installs replacement windows and doors with low-e glass, which help improve energy efficiency year round, as well as help block UV radiation and reduce condensation. Complete Home Solutions provides window and door replacement in Annapolis, Glen Burnie, Pasadena, as well as the surrounding areas of Bowie, Annapolis, Rockville, Upper Marlboro, Waldorf, Laurel, Bethesda.